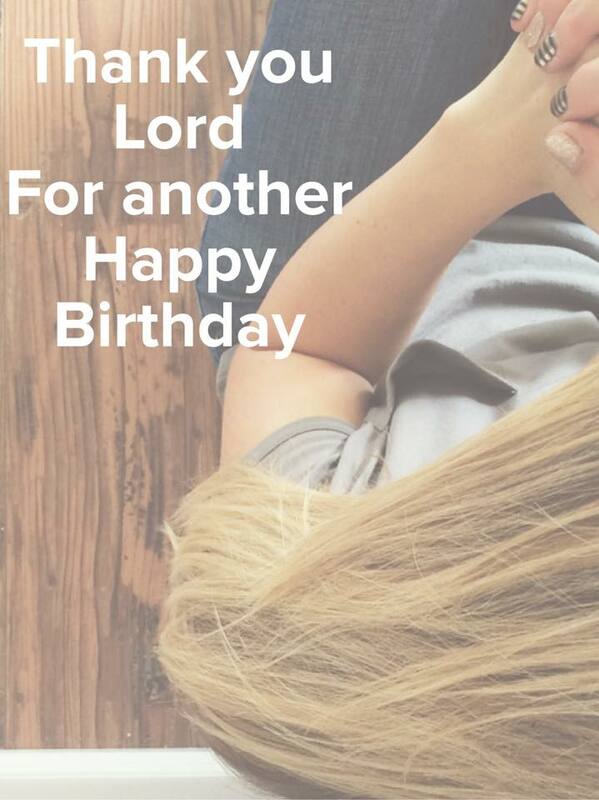 Lord, thank you for my birthday. Thank you for this past year of my life, and for this new year your grace has granted me. I'm so thankful for all you have taught me, for all the ways you have held me up, and for the all the ways you have comforted me. Lord I know when I was younger I took my life for granted and even felt immortal, although I would have never said that. All the close calls and bad calls were proof of that though. Jesus, on this birthday I realize more than ever that my life on this earth will not go on forever. We have experienced loss and watched others walk down the saddest roads this past year, and on this birthday it all just clicks in my mind that this life is fleeting. Truly gone in the blink of an eye. And yet so full and rich with amazing depth and purpose. Oh how I want to run this race well for your glory. One day I will see you face to face and I want to hear you say "well done my daughter." You have held my hand through the green pastures. You have rocked me through the dark valleys. You have grabbed my hands tightly and pulled me up while shouting encouragement into my soul to climb up some steep hills. And you have rejoiced over me when I have conquered. You have heard my deepest prayers and answered some that are pure miracles, gifts, from your hands. You have caught every one of my tears and cared deeply about them, slowly and sweetly turning those ashes to beauty. And even when I feel so weak, forgotten, broken; you are my rock that helps me to stand up tall and run wildly with your joy, knowing you are my God and you have great plans for me. Little ol' me. How humbled and in awe I am of your love. As my 28th year of life comes to an end, I am just floored by your powerful presence and protection. You have provided and guided me and my family like never before and we are more grateful than we can express. May we grow more and more into doer's of Your Word. And may our family become a tribe of thankfulness baskers- a people that just sun bathes in Your goodness all the days of our lives. You are at work in our lives and I can not wait to see all you do this next year. Thank you Jesus for the gift of not just life, but life abundantly with You. Bring on year number twenty nine! Rejoicing with you sweet sister!!!!!! Wow! What an incredible post and opportunity to rejoice in the work of the Lord! I love you!